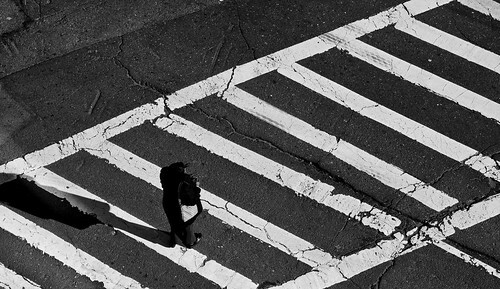 Are Marked Crosswalks More Dangerous for Pedestrians? If you need to cross the street a busy intersection, you’re likely to wait for the traffic light to indicate when crossing is safe. But many busy multi-lane intersections marked with crosswalks throughout California don’t have such a traffic light. For this reason, a San Mateo jury ruled this month that such marked crosswalks are often more dangerous than unmarked intersections because they give pedestrians a false sense of safety while crossing busy streets. In 2006, 17-year-old Emily Liou was struck and killed by a vehicle at a marked intersection on the six-lane El Camino Real in Millbrae. The accident caused brain damage and left Liou in a permanent coma, requiring 24-hour care. ProtectConsumerJustice.com reports this week that the jury awarded Liou $12.2 million for medical damages and future loss of income, but will deduct almost $2.5 million due to Liou’s 20 percent fault for wearing dark clothes at night and not seeing the vehicle. Schoenberger is correct that Caltrans knew about the dangers of marked cross walks. Two reports by the Federal Highway Administration in 2002 and 2005 titled “Safety Effects of Marked Verses Unmarked Crosswalks at Uncontrolled Locations” show a direct increase in pedestrian accidents at multiple lane intersections with high traffic and marked crosswalks. Statewide, pedestrians account for only three percent of car accidents, but 22 percent of accident deaths. The 2005 report concludes that intersections should have marked crosswalks only accompanied by street lights, or in low-trafficked areas. No one’s suggesting the eradication of marked crosswalks altogether. But Liou’s death and the Federal Highway Administration’s consistent findings indicate that Caltrans should study the dangers of such intersections and implement clear rules banning marked crosswalks at unsignaled intersections with high traffic and/or more than four lanes.